While I know that St. Patrick’s Day is a mostly Irish-American phenomenon, it was something I’ve enjoyed celebrating in a very green way from my childhood until now. When I was in grade school, my mom would temporarily dye my hair bright green with food coloring and send me to class decked out in all green clothes as well. My teachers got a kick out of this and would show me around to different classrooms so everyone else could see my green garb from head to toe. This all stopped one year when it took 3 weeks for the green to wash out of my very platinum blonde hair! Yikes. Nowadays, I’m lucky if I remember to wear any green on St. Paddy’s Day, but I definitely get my green food and viewing on! 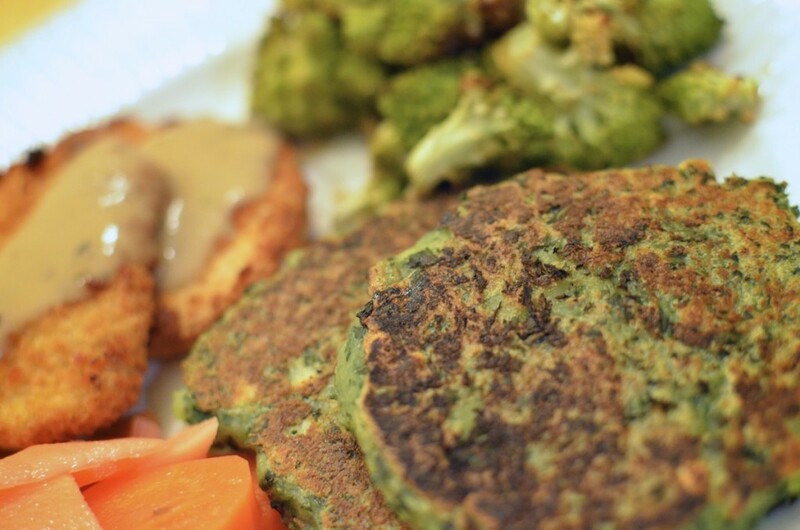 This year we dined on colcannon patties, Gardein Turk’y Cutlets with gravy, roasted romanesco cauliflower via Brooklyn Farmhouse, Crooked Carrot’s spicy escabeche, and veganized Bailey’s Irish Cream from Oh She Glows! I think the colcannon patties were the big hit with Mr. Tuxedo Cat. 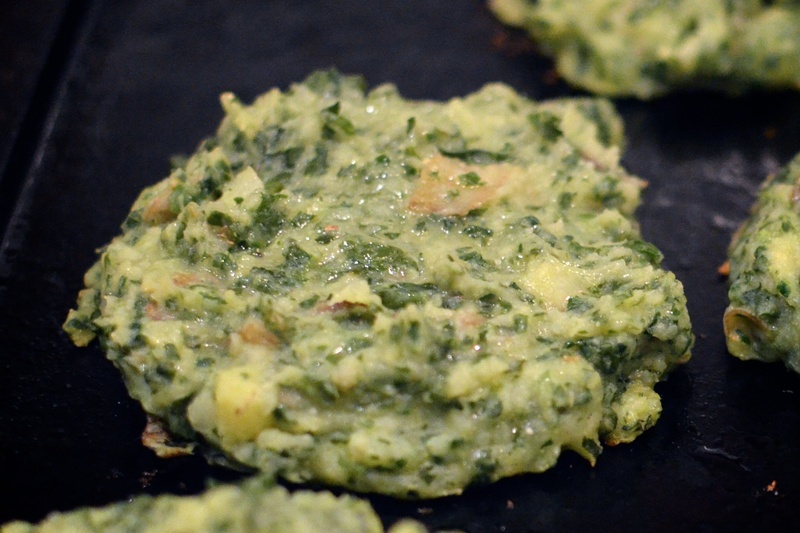 I used this recipe from FatFree Vegan Kitchen for colcannon puffs and flattened and fried them on my cast iron skillet to save time. 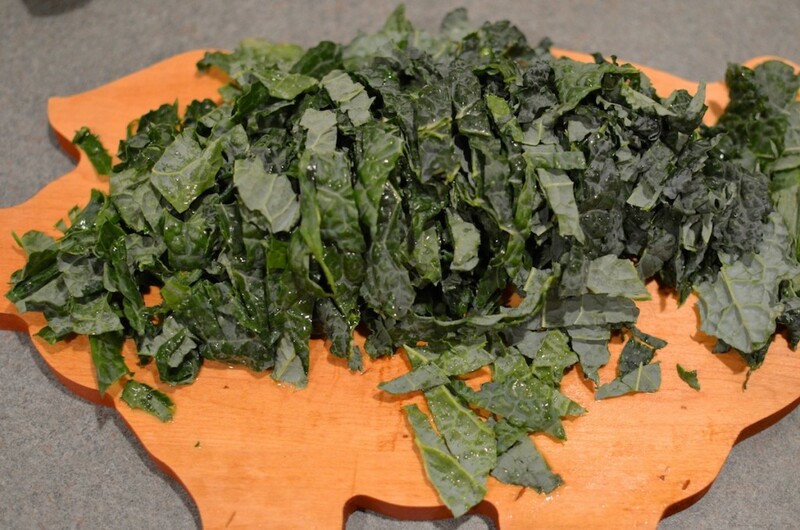 This was a great way to get a lot of kale and potatoes into our meal in a fun medium. 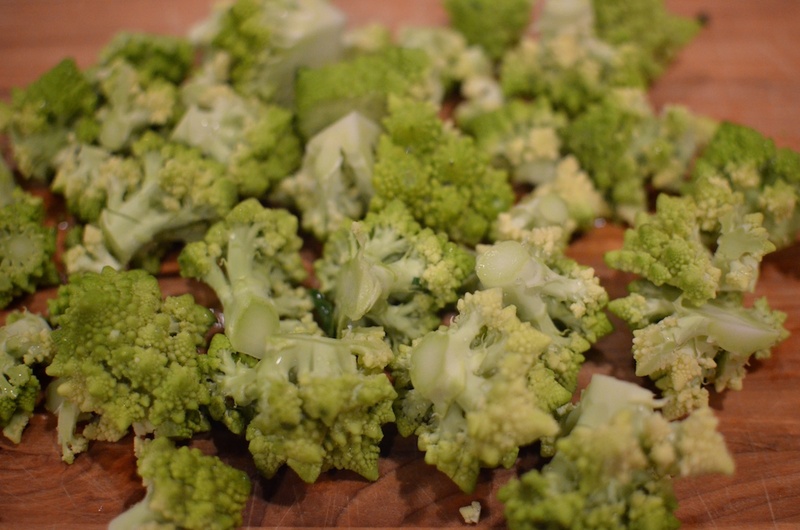 I was delighted to find the romanesco cauliflower at our local co-op, which is a green colored veggie that looks like little Christmas trees. 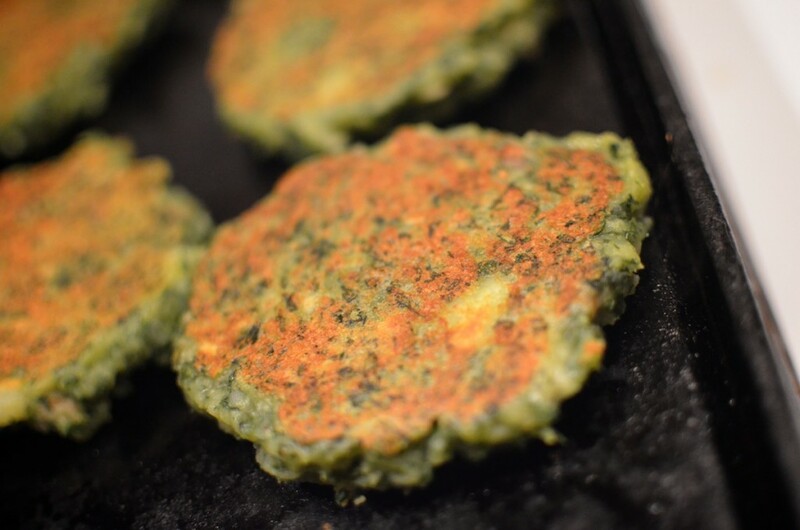 Perfect for our green-themed dinner! While pickled carrots are probably not the most traditional Irish meal, I found it made a great addition to the flavor profile for the evening. 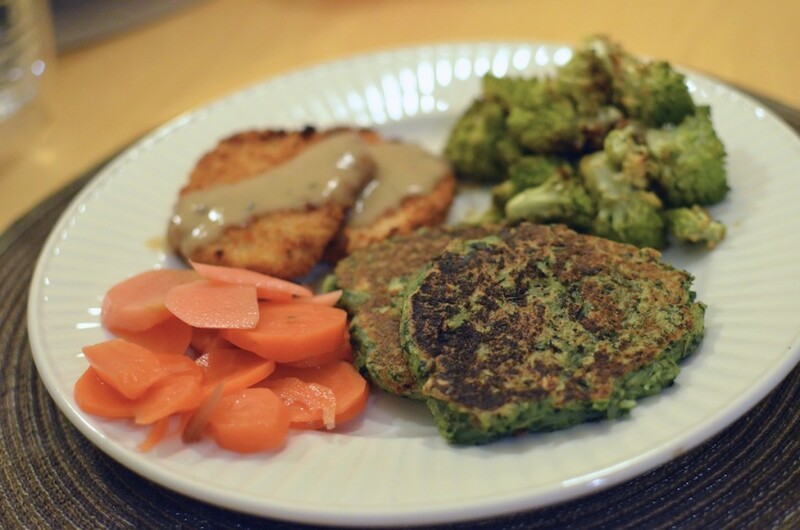 As a big fan of Gardein’s products, I was glad that I had some Turk’y Cutlets with gravy leftover in the freezer from a big sale I was lucky to hit around Christmas time. These went perfect with everything else. 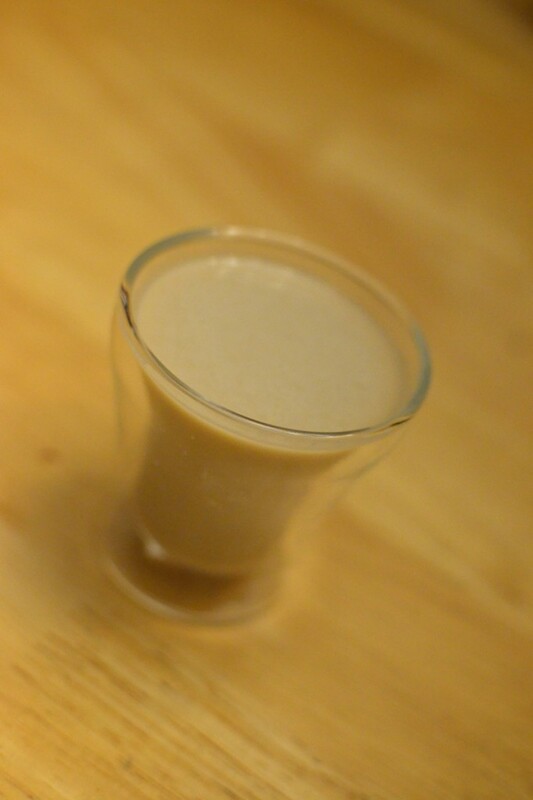 A couple of years ago a friend made a vegan Irish Cream for us, but I’m not sure what recipe was used. A quick search online landed me the easy-to-make and very delicious recipe from Oh She Glows. I don’t even like coffee or whiskey, but this hit the spot and was like a divine dessert after supper. We ended the night with a viewing of the campy Soylent Green: The miracle food of high-energy plankton gathered from the oceans of the world! It doesn’t get more green than that.